discover and connect with great schools, camps, and restaurants in baltimore! You know what your child is capable of. So does Garrison Forest School. Our all-girls’ Kindergarten through 12th grade and coed Preschool program empowers students to reach their fullest potential and live a life of purpose—in an environment where every child is encouraged to be his or her true self. Since Garrison Forest’s founding in 1910, we have prepared students to embrace the complex and changing world and to lead and serve with passion, purpose and joy. We challenge students to strive for academic excellence and to grow into informed, independent and creative thinkers. Through our motto, Esse Quam Videri—“To Be Rather Than To Seem”—we cultivate an authentic and resilient sense of self. And we create a diverse and inclusive community built on a spirit of caring. In 2015, we adopted five Core Values—Be Authentic, Be Brave, Be Compassionate, Be Curious and Be Spirited—which reflect the ethos and goals of the Garrison Forest community. 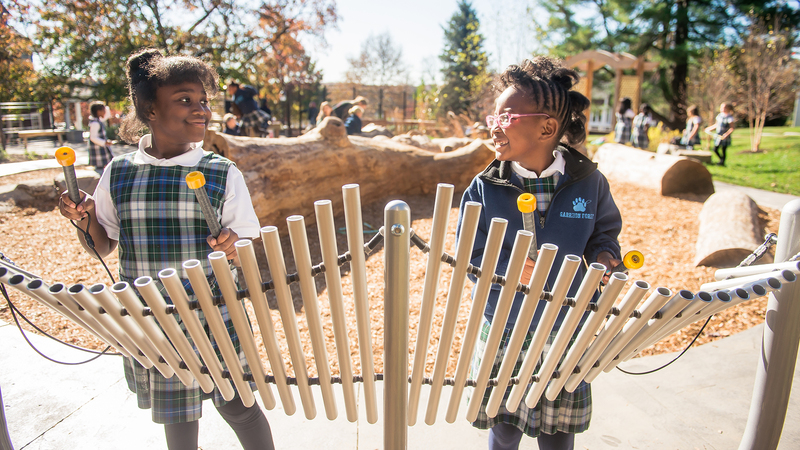 Our program is among the most unique in the country: Garrison Forest is all-girls from Kindergarten through 12th Grade with a coeducational Preschool for Twos through Pre-Kindergarten. From 8th to 12th Grade, we are a day/boarding school with students from around the region, country and globe. As a result, we are a diverse and global community where “Big Girls” help our littlest students and many cultures and customs are shared through our boarding program. Since the school’s earliest days, the idea of the “Garrison Forest Spirit” is something that threads through the classroom, campus and academic divisions and reaches across generations of Garrison Forest alumnae. It is a joy and warmth, a deeply rooted feeling of community in which every person’s authenticity is respected and celebrated. One of the best aspects of our spirit is the deep relationships between each teacher and students. Our faculty truly knows every student and is truly invested in every student’s success as a scholar and as a person. Equally notable are the nationally and internationally recognized programs at Garrison Forest, providing infinite possibilities for our students. Since 2004, Garrison Forest has partnered with Johns Hopkins University for our groundbreaking Women in Science and Engineering (WISE) program. We place talented GFS students in Hopkins labs three times a week for a whole semester. Working with a Hopkins professor or graduate student, WISE students participate fully in the research focus of a Hopkins lab—and dive into their passions for science, technology, engineering and math (STEM). Our James Center—an endowed program bringing together all experiential learning at the school—sponsors an in-depth community outreach program that includes the Jenkins Fellows program through which upperclassmen apply for summer service fellowships in the U.S.A. and abroad. The Garrison Forest Spirit starts with our Light Blue/Dark Blue Spirit Teams, a tradition dating back to the school’s founding in 1910. Each new girl and faculty member is given a team designation, and throughout the year, the teams enjoy friendly competitions to earn the most spirit points and the very popular spirit days and rallies. Each year, we participate in numerous outreach projects, particularly the Komen Race for the Cure (Garrison Forest has won the “Top Team School Challenge” at Komen for five years), the Lower School’s bagged-lunch-making project for Our Daily Bread on Halloween, and the Middle School-led “stuff-a-bus” food drive. Juniors receive their coveted school ring from Seniors in the fall, a tradition started in Lower School with a popular Big Sister/Little Sister program for class and co-curricular activities. Our 110-acre, mostly wooded campus is breathtaking. From historic buildings to collegiate-level athletic and art facilities, students use our picturesque campus to its fullest potential. Biology students use the campus pond as a learning lab, and art students create outdoor, large-scale sculptures. Classrooms include digital teaching and learning resources, and from 4th through 12th Grade, we have a 1:1 laptop program. 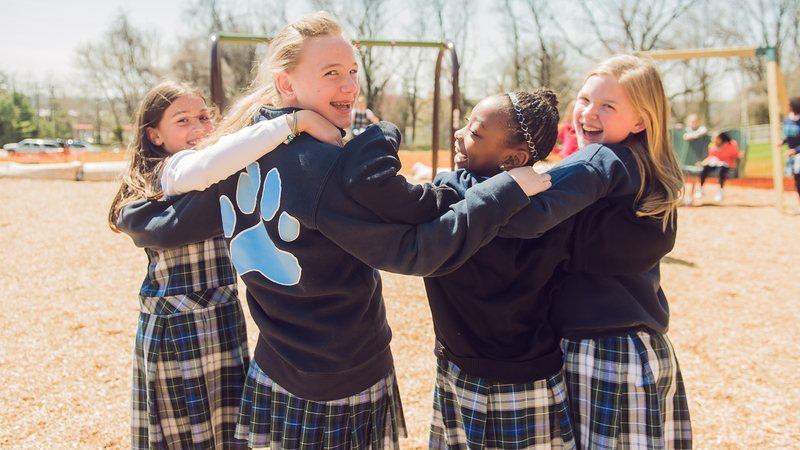 When not enjoying the elevated running track and expansive courts in the Searle Athletic Center or our turf fields, Lower School and Middle School students go on “Power Walks” in Physical Education class, walking the wooded trails on our campus. 4th and 5th Grade love the unique P.E. rotation in Riding, Polo and Dance, taking full advantages of Garrison Forest’s nationally known Riding and Polo programs and exceptional equestrian and dance facilities. Two years ago, we inaugurated our Creative Co-op “maker spaces” with high-tech and low-tech—think 3D-printers and endless craft supplies—for creating, tinkering and building. This fall, our new Outdoor Classroom, designed by the nationally recognized Nature Explore and Hord Coplan Macht, offers in-depth, age-appropriate outdoor learning and fun. Most important, our campus has 24/7 security with gated entry to ensure the safety and security of every member of our community. 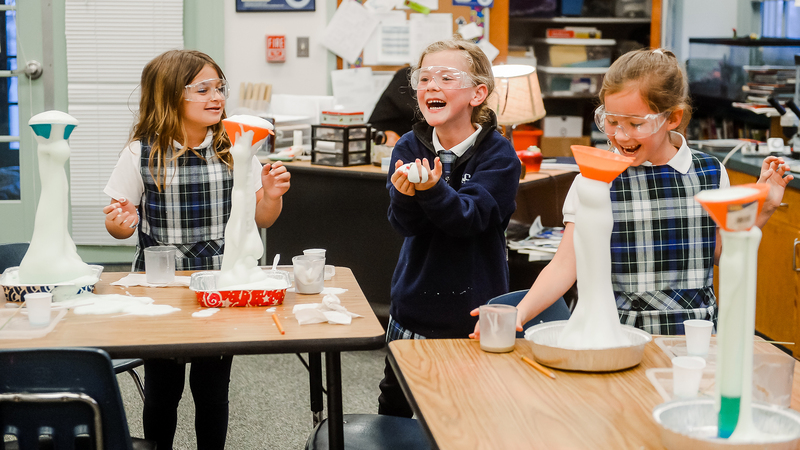 Our Lower School Woodlands afterschool program provides an array of activities for Pre-Kindergarten through 5th Grade. 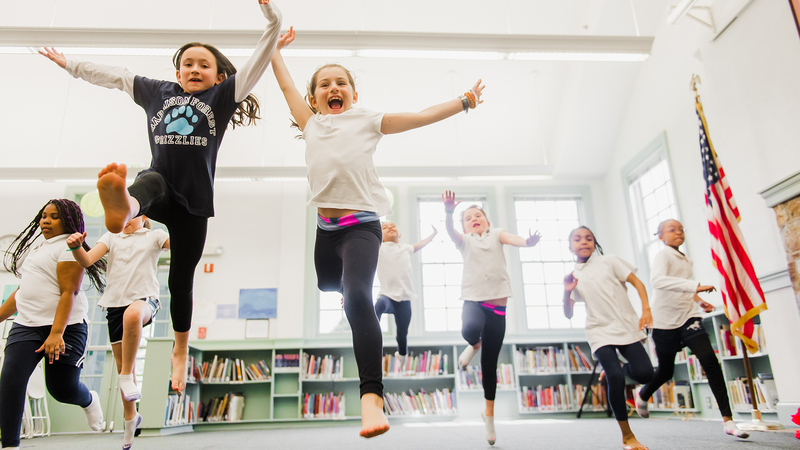 Students may learn chess, dance, engineer Robotics, do art and much more in this popular, fee-based program open only to Garrison Forest Lower School students. Lower School may also play in clinic-style Basketball and Lacrosse programs designed to teach the girls basic skills and teamwork. Our Applied Music program with conservatory-trained musicians coming to campus to teach guitar, flute, piano and voice, gives Lower School girls exceptional music training. In Middle School and Upper School, we offer 50 teams across 17 intercollegiate sports in the Interscholastic Athletic Association of Maryland, as well as numerous clubs, student government opportunities, performance groups and more. What would prospective parents and students be surprised to know about your school? Most of our day parents are surprised at the depth and breadth our regional, national and international boarding program adds to their child’s experience, whether their student is in Preschool or Upper School. Our 8th to 12th Grade boarders—about 80 students from around the state, country and world—live and learn on campus. They share their customs with the Preschool and Lower School throughout the year from Lunar New Year activities and Cinco de Mayo, and our students hear different languages spoken every day. Boarders visit Lower School and Preschool classes for activities and cross-divisional spirit days. Most important, they form deep friendships with girls from around the world and develop a genuine respect for differences and other cultures—a critical skill to becoming a global citizen and thriving in a diverse world. We are as committed to your daughter’s social-emotional growth as we are to her academic success. We use the research-based Responsive Classroom program in our Lower School, which was developing in 1981 by educators. Every teacher is trained in the program, which uses daily moments to teach practical and loving guidelines and consistent expectation for behavior. How can families find out more about your school? We hold numerous visiting programs in the fall, but encourage a personal tour, shadow day and visit at any time. Learn more here. Our process is individualized with a personal tour/visit and relationship with the Admission staff. For grades 5-12, we require the Independent School Entrance Exam (ISEE) or Secondary School Admission Test (SSAT). Admission requirements vary by division and are detailed at gfs.org/admission or please call 410-339-3111 for further information. We offer financial aid for those families who qualify with merit scholarships available in the Upper School. For students applying to day school from Kindergarten through Grade 11, the Online Application form is due by December 15, 2017. Our preschool accepts applications on a rolling basis until a class is full. Please call 410-559-3221 to set up a Preschool tour. Supplemental forms, Teacher Recommendations and a scheduled visit are due byJanuary 12, 2018. For students applying to boarding school from Grade 8 through Grade 11, the Online Application form is due by January 31, 2018. Supplemental forms, Teacher Recommendations and a scheduled interview are due by February 10, 2018. Each of our applicants will receive a written notice or a phone call telling them when their application folder is complete. Our Admission Committees will meet during late January and February to review all complete applications. We will announce day student decisions for all complete applicants on February 16. Boarding decisions will be announced in March 6, 2016. Feel free to contact a member of the Admission Team after decisions are announced with any questions or concerns regarding your child. Finding GarrisonForest has changed the way I view education, because the school is dedicated to embracing our daughter as an individual and enthusiastic learner. The school’s core values are a living, breathing part of the culture, which has helped my daughter establish her independence in new ways. I see her growing into a strong, brave, authentic, curious, more compassionate and spirited young woman, ready to change the world. (cool) progeny is the go-to resource for families, serving the Greater Baltimore area. FIND OUT MORE HERE.